A national energy conference at The Spa, Scarborough yesterday heard how Yorkshire suppliers could play a major role in a booming onshore oil and gas industry. Over 160 local business people attending the event heard how the Yorkshire region has produced onshore gas largely unnoticed since the 1930s, but the potential for shale gas will open up new opportunities for local companies to become part of the supply chain. Organised by the Onshore Energy Services Group (OESG) and supported by the Scarborough Ambassadors, the “Future Business Opportunities for North Yorkshire Onshore Oil and Gas” conference brought together the major operators in the onshore energy industry along with North Yorkshire businesses to discuss opportunities to win contracts in the supply chain. “With the potential for the oil and gas industry to really take off in the north of England with the award of the Round 14 licences, we wanted to make sure that Yorkshire businesses were well-placed to take advantage of the opportunities that come their way” said OESG chief executive Lee Petts. “There is potential for the industry to create a wide range of commercial opportunities, from technical work through to ancillary services such as accommodation, transport, site preparation, administration and catering. We also want to make sure we have a sustainable industry through the provision of training and skills development for local youngsters to take up roles within the industry” he added. 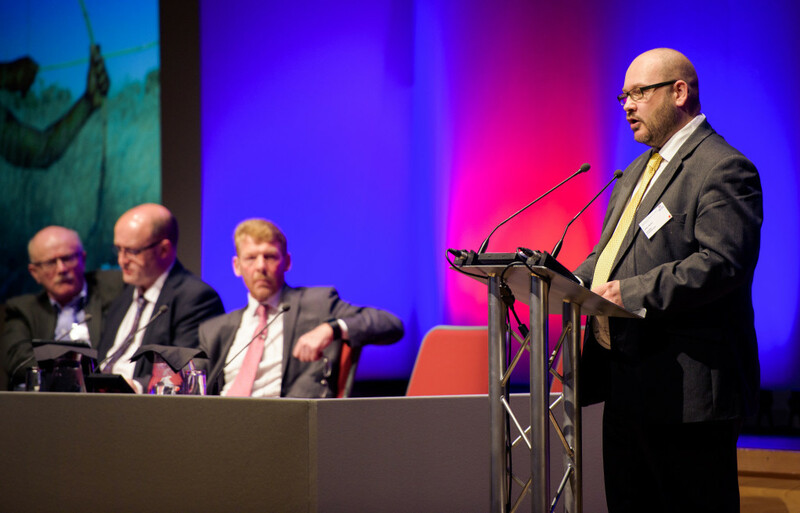 Whilst onshore energy companies are already spending money in the local supply chain, the conference heard how this is expected to grow dramatically. Although the main focus of the event was on the supply chain, some of the presentations highlighted the myths and bad science being perpetuated by protest groups. A study undertaken by consultants EY forecast a spend of £33bn in the next 15 years along with a requirement 12,600km of steel casing, creating 64,500 direct, indirect and induced jobs across the UK. We’ll be publishing a more detailed review of the event in the resources area of our website soon.